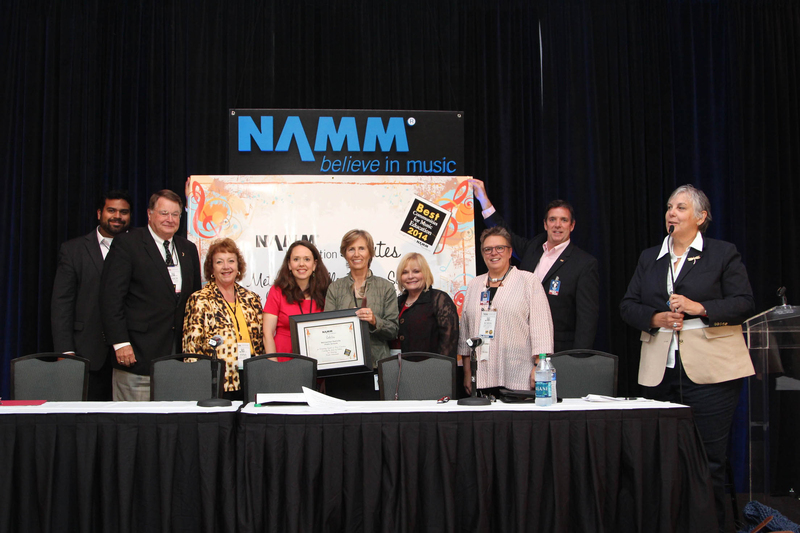 The SupportMusic Coalition Webinar “Live from Summer NAMM” gathering highlighted NAMM Members who are ramping up music education advocacy in their states and local communities, and their strategies for success. "I've been part of the SupportMusic Coalition since it's inception, and I see great value in this cross-sector alliance with the business community, the education community, the government community and the non-profit arts community," says Laurie Schell, Director of "Music Makes Us" for Metro Nashville Public Schools. "That's really the only way we're going to advance this notion, this vision of music education, arts education for all students. It's going to happen with all of us coming together. There was also a special presentation to celebrate Metropolitan Nashville Public Schools for their NAMM Foundation Best Communities for Music Education designation. "We were fortunate enough to receive a Best Communities for Music Education Award this year," Schell added. "We are building a revitalized music education program. And what the Best Communities program does for us is to give us a rallying point. With this designation, it shows our community and our stakeholders—in the Mayor's office and in the Superintendent's office and with the music industry folks and our teachers, that we are doing great work and that there's great value in what we are doing." Did you miss the webcast? Replay it now.